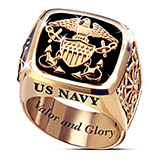 These are a select few U.S. Navy rings available for enlisted sailors. 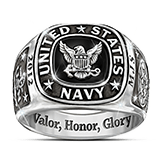 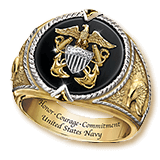 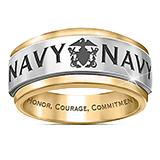 As a memento, remembrance or gift, these rings will last a long time and will also let friends and family know that you are part of the U.S. Navy. 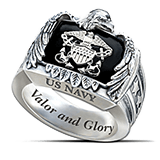 Some rings can be engraved, personalizing your jewelry forever.